Overnight, we learned that Zimbabwean officials will seek to extradite Walter Palmer from the US, for luring a male lion named Cecil out of a park and wounding him in an unauthorized area, before killing him 40 hours later. The HSUS and Humane Society International (HSI) strongly urge the US to cooperate with the extradition effort. If Palmer broke the law, plaudits are due to Zimbabwean officials for seeking his prosecution. Apparently, the authorities have charged the guide involved and plan to bring charges against the landowner. Let's face it - these three horsemen of the apocalypse knew exactly what they were doing. Palmer has a museum full of dead animals registered in the Pope and Young and Safari Club International record books - from lions to polar bears to rhinos, most of them taken with bow and arrow. Throughout his life, he has intentionally sought out the biggest specimens of animals in order to get his name memorialized as a "successful" trophy hunter. He had designs on Cecil because he was one of the biggest lions around. This was not chance, as Palmer claimed; it was a professional hit. I am glad that there's such worldwide outrage about Walter Palmer and his trophy killing. What he and his shoot-for-pay guides did was evil. Editorial boards, columnists, and average citizens are talking about his moral crime across the globe, and demanding justice. A White House petition calling on the US government to extradite Palmer had gathered more than 170,000 signatures this morning. But if the focus begins and ends with Walter Palmer, we will not have appropriately addressed the larger problem. That's why we are glad to see so many others focused on the larger issues. Yesterday, Reps. Raul Grijalva, D-Ariz., ranking member of the House Natural Resources Committee, and Earl Blumenauer, D-Ore., co-chair of the Congressional Animal Protection Caucus - both stalwart champions of animal welfare - led a letter signed by 48 other House Democratic members urging the US Fish and Wildlife Service to finalize its proposed rule listing the African lion as threatened under the Endangered Species Act. The United Nations General Assembly has also passed a resolution condemning the poaching and trafficking of wildlife and calling on governments worldwide to take action to tackle these challenges. 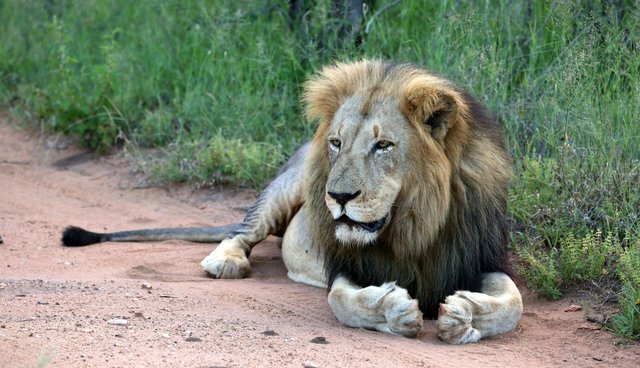 And on Monday, US Senator Robert Menendez, D-N.J., a devoted friend to the work of The HSUS and HSI, is introducing a bill to ban all imports of trophies and parts from African lions and other at-risk species into the US. The bill is called the Conserving Ecosystems by Ceasing the Importation of Large (CECIL) Animal Trophies Act. That's because Palmer is not so different from thousands of other wealthy trophy hunters in the US and throughout the world, who hopscotch all over the earth in luxury and comfort to kill the largest "specimens" of the rarest mammals. Baiting, jacklighting, shooting in parks or fenced areas, with guides even drugging animals to allow these aging men to shoot these magnificent creatures, are all par for the course. That's their hobby, albeit a warped, selfish, and inhumane one. It's going on every day in the remote reaches of the globe, enabled by professional guides and wildlife officials who are at least complicit if not directly on the take from rich people with a mania for killing the most beautiful creatures in the world. As for Zimbabwe, this is a country long plagued by terrible leadership in the post-colonial era, and it is a nation deeply corrupted, autocratic, and ruthless when it comes to the treatment of wildlife. Walter Palmer went there because there are too many officials there ready and willing to sell off wildlife to the highest bidder. Good for them for seeking extradition this time - but let's just not be fooled into thinking that this is a principled, forward-thinking government at work. Zimbabwe is even allowing wealthy foreigners to slay elephants for trophies. That program is so badly managed that the US Fish and Wildlife Service suspended imports of elephant trophies from that country in 2014 and again in 2015. If Zimbabwe is serious about taking action, it should follow in the footsteps of Botswana and ban all trophy hunting. It should turn the pages of the history books and step into the era of wildlife watching and appreciation. Eco-tourism dwarfs trophy hunting in its economic impact, and it's got great promise as a sustainable means of livelihood for Africans and African economies. Kenya, Rwanda, Uganda, and other nations are showing the way. Now it's time for Zimbabwe to stop allowing targets on the backs of its glorious and diminishing wildlife. It's time for these nations to tell the Walter Palmers that the world is no longer open for the kind of business they want to pursue - bloody, ruthless, with no moral value, and one of such depravity that it is an ugly mark on all of humanity. Ask the US Fish and Wildlife Services to protect African lions from extinction.